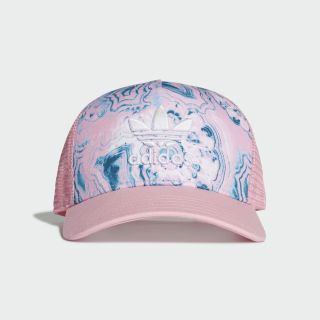 Pops of pink and pastels give the classic trucker cap a feminine vibe. A familiar shape, remade in a feminine palette. 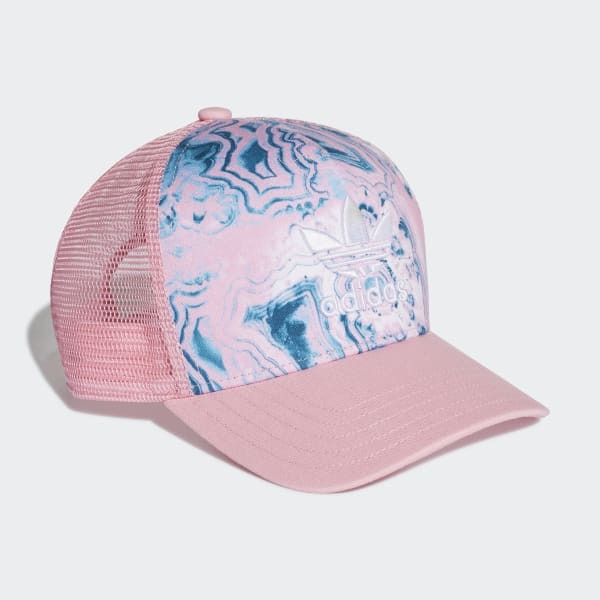 This simple snapback cap transforms a basic with a pastel marble print on the front. A contrasting Trefoil logo brings a sporty edge to balance out the soft colors.